We raised very little, so what I did was moved back to Nashville in my parent’s backyard in a trailer to cut down my personal burns so so much that I did not have to pay myself a single dime. I felt that that would get us further with that, a little bit of funding that we had raised. Get a pilot up and running, get it in New York City, and then get some type of feedback loop going from the pharmacies. Hello? Hello. Hello. Welcome upside podcast, but we’re finding upside outside of Silicon Valley. I’m Eric Hornung and I’m accompanied by my cohost, Mr cinephile himself, Jay Clouse, Jay. How’s it going? Man? Took me. It took me a second to remember what the word cinephile means. I thought it was just a blatant insult of some sort. I was like, you’re what do you. What do you call me? Yes, yes. I like movies. Tried to go to see quiet place last night, went with two friends and there was one ticket left at the counter so I didn’t get to see quite a space last night or quiet place last night, whatever it was called, which is fine because I hadn’t even really been committed to seeing it until something like 15 minutes earlier. But yeah, that was my, uh, my Saturday night. How is your Saturday night? I feel like you’ve been on a movie tear lately. You said you saw ready player one. You saw something else that I had never even heard of. I’m rekindling my appreciation for film if you want to get kind of a little artsy. Yeah, I was, I was in la last month and we went and saw quite a few movies in the theater. We saw, I love dogs. We saw annihilation. Annihilation was super entertaining and then the end was just kind of a non. And I won’t spoil it besides the fact that it just leaves you kind of confused, but Isle dogs is great. Ready? Player one I saw last weekend, that was great. I watched Ocean’s 11 again last night. That was better than I remembered. Yeah, I mean that’s an awesome movie, but I did nothing of any substance related to entertainment last night. I’ve been meal prepping lately. Yeah. Are you doing like whole 30? No, I’m just trying not to be fat, so I moved it from Sunday to Saturday, so my Saturday was lit. Ah, yeah, but let’s get back to the audiences, to the show. Why? Why are we here? What are we doing here? Yeah. Well, we’ll introduce this for the first few episodes here. Sorry if you guys have heard this, but story of upside is Eric and I are startup junkies and Eric is one of my good friends, money guys in York. I don’t know that side of investing or startups as well, but we talk back and forth quite a bit because I’m finding startups here in the area. He’s finding startups with, with his role in New York and we figured why don’t we share some of the things that we talk about with each other with more people. So that was the beginning of upside the podcast. We want to talk about startups outside of Silicon Valley who are making a difference. We fundamentally believe that entrepreneurs outside of the valley are just as intelligent, just as opportunity seeking and resilient and maybe in some cases more so, and they’re worth giving some attention to. Did I miss anything? No, I think you crushed it. And the way that we’re gonna look at that is in a unique framework for a podcast. We think we’re going to walk through the three stages of looking at a company as if you’re an angel investor or a seed investor or some sort of VC perspective. Um, so those are one research. So Jay and I both before the podcast airs, do our own independent research using articles, databases, Google searches, the company’s website interviews. We can find really anything that we can dig into over the course of a couple of hours. Then we’re going to interview the founder. This is really set up to get a better understanding of their story, the company as it stands today, and the outlook for both the company and the market going forward. And then finally we’re going to get into what’s called a deal memo, which is our debrief and that’s gonna. Help us crystallize our thoughts and we’ll talk a little bit more about that later in the podcast. With that being said, Jay, who are we talking to today. Today’s guest is Nick Potts. Nick is the CO founder and CEO of script drop, a prescription delivery and medication reminder service. Prior to script drop, nick was a technical account manager at cover my meds in Columbus, Ohio here where he assisted pharmacy systems and integrating the cover my meds technology. He also helped drive new pharmaceutical businesses. So script drop founded in 2016 focuses on providing an in workflow prescription delivery solution for pharmacies. There are no third party apps and there is no cost to the patient. They partner with pharmacies to offer streamlined delivery and increased operational efficiency. So that’s, that’s a big point that I think we’ll probably hear nick talk about quite a bit is how this solution is quote unquote in workflow, which may not be a phrase everyone’s familiar with. So what that basically means is instead of requiring the pharmacy technician to enter a different software than there used to entering or doing a different action within their normal routine, this fits right inside their normal workflow, which is a selling point and a lot of cases because it’s less learning, less context switching. Awesome. What are some of the things that you’re excited to hear that about from nick about either his story script drop? Well, it’s founded in 2016, so relatively new. They’ve taken on, I believe a million dollars in funding to this point from what I’m reading, nick and his co founder Larry, and one of the first other additions to their team, Amanda, were all ex cover my meds employees and cover my meds was sold for 1.1 billion dollars to Mckesson. Can you give a little background into who cover my meds was? When were they started? What? For the people who might not be familiar with either the Columbus market or their exit? Sure. I’m not sure exactly the year it was founded. I think it was late two thousands. It was founded here in Columbus, Ohio by Matt Scotland and that company made electronic prior authorizations possible. They were the one of the first movers and shakers to make prior authorizations electronic instead of even explain that a little bit further. Prior authorizations come from when you go and you try to fill a script that you were given from a doctor, say they’re prescribing some name brand medication for you to go to the pharmacy and get that medication. They have to paying the insurance company and that process to my understanding is the prior authorization is that, is that how you understand it as well? So let me be really upfront about this. The medical field is probably like one of the one or two fields that I have had very limited experience in which is thankful I guess either directly or indirectly and I have done a lot of research on it and preparation for this podcast, but I think for both my sake and for the sake of listeners who maybe don’t understand the complexities of one of the most complex systems in the United States, it will be good if we can always get nick to kind of take a step back and explain some of these things as we go through the interview. Your definition of prior authorization makes sense to me. Essentially when when you go. When you go to a pharmacy and you say, I have a prescription for this medication, and they come to you and say, actually your insurance company will not cover this without a doctor’s explanation of why that is the system of needing a prior authorization and that was done with a complete analog system before cover my meds and it took sending paperwork that was signed by the doctor to the insurance company. It’s slowed down the process for actually getting the medications that you’re prescribed, which is really dangerous and cover my meds, was able to completely digitize that process and grew very, very quickly to the point where I know they were growing like 100 percent a year for several years and Mckesson, which I think is like a fortune five company, bought them in January 2017 for over a billion dollars, so nick and his cofounder, Larry and Amanda, they were all there to see all that happen. I think Amanda was one of the earliest employees at cover my meds and they both spent a lot of time on the pharmacy team, so you would reason to think that they understand pharmacy very well, which is what script drop is built on. So another thing that I want to think about as we’re going through this interview with nick is Kpis, which for the audience, those are key performance indicators. What are the kpis that script drop looks at when they’re evaluating their business and their growth? I think this is a question that we want to make sure that we focused on as this podcast evolves. So what are off the top of your head, what are maybe some of the kpis you think that they would look at just hypothetically? Well, I’m going to think that they’re looking at number of pharmacies that they’re operating in. I think they’ll look at the number of deliveries of prescriptions that are happening on a daily or weekly basis. I think they’re going to look at adherence to prescriptions because that’s part of the big problem is I think I saw a note of 25 percent of prescriptions that are prescribed aren’t even picked up by the individual, so increasing that adherence not only as good for public health but also that costs the system quite a bit of money. From what I’m reading, I’m reading something like $300,000,000,000 was the number I was seeing. Were you seeing that too? Yeah, I saw $300, billion dollars and 125,000 deaths per year. That nonadherence of prescription medication was causing the system, so I think he’s looking at that because that’s going to show value to his customers, which appear to be the pharmacies themselves and you know, you want it, you want to show value in difference, the money that you’re saving those companies on a, an annual level. What about you? What are the Kpis you’re thinking? Well, just to piggyback off what you just said, the customers on the pharmacy side for sure, but the indirect customers of the 125,000 deaths is also something that if you can close that gap, that’s obviously beneficial for society. So the Kpis I’m looking at, um, are kind of a blend of what you said, but I think it would be interesting to see rate. I like Kpis with ratios. So whether that’s the amount like for a, for a new pharmacy ad, what is the number of filled prescriptions using this system per pharmacy, something like that. But mostly I’m excited to hear what nick has to say because I can. I have a feeling that it’s going to be something that is a little, a little deeper that is probably second level thinking that I’m really, really interested to hear about. What did you find in the way of competitors? tscript drop because I did some searching on this. I thought how, how crowded is the space, which is a good place to go to a lot. Right? What was interesting was I searched prescription delivery, I just googled prescription delivery and one of the very first results was a blog post from 2015 called rapid drug delivery. Where is the Uber for pharmacy? Twenty 15. Just like random blog posts is one of the first results from scrolling down a little bit further. There are a couple of articles about a recent launches. There’s a company that launched in February of 2018 focused on same day prescription delivery. They named off. I’ve got a list of like a dozen players in the space so could be a pretty crowded place and so I’m interested to hear what nick thinks about that. Yeah, and I actually, as part of the due diligence for heading into this interview, reached out to a couple of pharmacists and sent them over like some articles about script job and then scripture ups website and just ask them what do you see that’s compelling, what kind of thoughts do you have on this and what kind of questions are raised? And almost I think actually all of them asked why wouldn’t they just use mail order pharmacy instead? So I didn’t know what mail order pharmacy was, so I did a little bit of googling and it turns out that you can just get your, there are companies, potential competitors that get prescriptions just sent in the mail. I think express scripts, uh, is one of the largest. I think there’s a little bit of a different value prop, but when you talk to industry participants and they see these is almost comparable. That’s something I’m interested to hear the feedback that nick is getting because it seems like there’s more of an immediacy or uh, uh, with scripture drop. Then with the mail order. That’s the only, that’s the difference I can see upfront. What about you? That’s a good question and I hadn’t quite thought about that. Even though I’ve used mail order pharmacy for my allergy medication for years. I think mail order pharmacy was only available to me in certain circumstances like I had to order in some level of bulk and I know script drop has careers that take it directly to your door and require a signature for you to get that medication. So there’s probably some nuance here, whether it’s in terms of completed delivery or understanding exactly if the medication was adhered to and picked up. I don’t know. So yeah, that’s, that’s a great question. I’m excited to hear that. That’s, that’s really doing your homework, Eric. That’s great. I mean I think there’s also some legal issues, right? Potentially between the two. Right, so if, if your couriers need to get that signature or something, it’ll be interesting to see what the legal play is there compared to maybe some of the different drugs you can get over mail order pharmacy. So a blend of immediacy and legality and looking at legality. One thing that popped up almost immediately whenever you search script drop was script drop blockchain and there are a couple of articles I believe Wall Street Journal and Forbes had a couple of articles on script drop looking into the blockchain and some of the compliance issues around putting people’s information on the blockchain, their pharmaceutical information. Um, so I’m really excited to ask nick about whether or not it’s a public blockchain or private blockchain. I know that there are a lot of interest in that space. So do you have any thoughts on, on that at all? I had some questions too, because you know, you see a headline that says that script drops using the blockchain and then within the body of the article is talking about in an ICO in 2017 with a targeted raise of 17 and a half million dollars. So you have some questions from what I can see that ICO didn’t actually happen. So that’s obviously something we can focus the conversation on and hear from Nick, why that didn’t happen or what, what changed? I would assume he has good reasons for at least a logical reasons. Yeah, I mean I, I’m, I’m definitely interested to talk about that. I’m one of the Co heads that are blockchain taskforce at the company I work for and we focus a lot on regulatory compliance and security, so I’ll be interested to see what his take on that was and if the environment was just getting a little too Rawkus, you like that word? That’s a different word. I keep it on the door. It’s behind the thing. So. And then the last thing I think is I would love for, and this is probably where I would like to start the interview, is a logistical description or example of what this actually looks like. Right? Well walk me through from Nick’s perspective and understanding. Walk me through the a’s, b’s and c’s all the way down the line to show me like. Because I can kind of understand it, but I really want to like understand all the parties involved. Um, so we can ask some deeper questions. Love it. I’m always game to talk about product. Alright. You ready to get into it? Alright, let’s do it. Nick, welcome to the show. Yeah. Could you tell us a little bit about yourself, about your background? Yeah. Uh, I grew up in Nashville, Tennessee. Went to MTSU for college. Then after college I moved to Columbus, Ohio and since moving to Columbus I have stayed here since, uh, since college moved back to Nashville for maybe nine or 10 months and then moved back to Columbus again. And I’ve enjoyed my time here so far. Cool man. Well, as you know, I’m a big fan of Columbus, Erica Buckeye as well. So excited to have you here talking with us. So script drop. You guys have been working at this for going on three years now? Two years. It starts here in the end of April, be two years since I left my previous job. It sometimes feels like 30 years and then some days, some days it feels like we’ve been at it for three months or so. You kind of have those ups and downs and when you’re. When you have that up, it feels like the day is kind of fly by. What are some of those ups looked like? Like what are some of the key moments in the last two years felt like to you? Yeah, so when we originally started running our pilot in New York City and I got to see pharmacy use our service from end to end and the pharmacist eyes really lit up that hey, this is going to get quite a bit easier for us making prescription deliveries to patients each day where it was really cumbersome and a lot of work went into q and a up a delivery that took their eye off the ball, which is just helping patients answer questions about their medication and such. Um, rather than working with couriers, that was a definitely an up at different points of a closing. Some of the large contracts that we’ve closed over the year and a half, two years. Those were some definitely some huge ups for us as well as bringing on additional team members. Backing up just a little bit, if I were to meet you at a party, how would you describe script drop and what you guys do? So Script Drop is a prescription delivery service but it’s more healthcare it rather than the actual delivery. So we are a software layer for the pharmacist to kick off a delivery within their current workflow and then we source that to our courier network. We do not hire drivers like Uber does or anything like that. We partner with courier companies to handle that last mile delivery. We simply quarterback the delivery from the pharmacy to the driver and then we communicate that successful delivery back to the pharmacist so that they know their patients on therapy. How important is that last point? The communication back to the pharmacy that was delivered. It is paramount. The pharmacist has to know that their patient is on therapy. They also have to get a signature back into their hands, uh, either by paper, which is what it has been historically. Or we communicate that signature back electronically. The pharmacist has to have that on file. If they do not and they get audited later down the line by a pbm or anything like that, they would fail the audit. So it is a necessary step in the process. How does this differentiate from something like an express scripts or a mail order pharmacy? Yeah, so express scripts is a pbm, so they, they would pay for your drug, eric or your drug Jay, but a mail order pharmacy that they ship the drug to the patient through Fedex or ups or USPS. Ours is that last mile of you as the patient dropped off this prescription at the pharmacy and then you weren’t able to get it immediately, which happens really frequently with drugs because if you think a pharmacy, they have a certain amount of different types of drugs in their inventory. If they, they can run out, which happens frequently and they’ll have to order new product overnight It from cardinal health are Mckesson, so when that happens, they tell you to come back tomorrow or the next day. Um, once they get caught up, whenever the patient is told to come back into the pharmacy after they tried to get that drug filled, we have data that shows that between one and four and one in five times, you never see that patient again. They kind of drop off, which that costs the healthcare system a lot of money because you inherently get worse off on your condition as a patient. And there’s probably some cost to just, you know, I’m the pharmacy and patient came in wanting to feel something. We didn’t have it. So we pull in new drugs into the pharmacy. They don’t come back. Now we’re warehousing that. Is that part of that cost or what happens when somebody doesn’t come back on the pharmacy side? Yeah. So the pharmacist can send it back to the wholesaler, but there’s cost in that. You have inventory carrying costs, you have this pharmacist that’s really well paid and that they aren’t getting that drug out to the patient, which is what they’re ultimately paid for. So there is cost with that as well as the pharmacist’s time on. They could be doing other things. So you have that opportunity costs which is measured by some pharmacies, but some other pharmacies don’t really consider that as part of the expenditure. I think we’re hitting on a lot of good product questions right now and I want to kind of keep the theme going. So can you talk about the experience maybe from the individual’s side, some questions that I have around that or do I have to be home at the time of delivery? Do I get to choose? How’s that? How’s that all work from someone who may be dropped off a prescription and then is going to get a delivery. Yeah. So you as the patient, whenever that delivery is queued up, your information is sent over to scripts drops. So your name, your address, and your phone number. So we communicate with you as the patient on that delivery, uh, by text or Robo call, so you have the ability as the patient to cancel the delivery. We can help you get in touch with your pharmacist to reschedule it for tomorrow, all of the above. So we communicate with you directly and then you do have to be home for us to get that signature that we then transport back to the pharmacy. One point of clarification, I am a patient, I have my prescription. I go to the pharmacy and say I’m picking it up and that’s where they start the script job process or does that eliminate the first visit that I go to the pharmacy too? It depends on the situation or the relationship you have with the pharmacy. So we’re working on getting further upstream so we can offer our service. At the point of e-prescribing, when you’re in your physician’s office and they say, Hey Jay, I’m going to write you this prescription, would you like to just go home and have script drop, drop it off? We’re working on some of those integrations currently right now. It is. You go into the pharmacy for that first time and then they do not have the drug and then they tell you to come back. That’s when the pharmacist would offer it. We’re also working on some integrations into some ecommerce platforms and such with different pharmacies that we work with where you can get that refill every single time moving forward and get it delivered and never have to step foot back into a pharmacy. Yeah. That seems like that would save quite a bit of time and quite a bit of cost. Obviously already if there’s 25 or 20 to 25 percent of people not going back into the pharmacy after the first visit, you’re already cutting down on that cost, but the further upstream you go, seems like a lot of opportunity. Yeah. Some of the data I’ve seen with sure scripts, so they handle escripts from the physician’s office to the pharmacy. About 27 to 32 percent of the patients that get an escript written, they never go to the pharmacy the first time you just. You leave the doctor and you’re like, ah, I really don’t need this, or you know that the copay is going to be $40 and you’re on a, you know, impoverished situation and you know, you can’t afford that so you don’t even want that awkward conversation with your pharmacist so you just drive home. So being able to offer it further upstream, those buckets of patients that we can impact and ultimately help them stay healthy or get healthier is dramatically increased. So another way that it seems like you guys help patients stay healthier by staying accountable is some sort of reminder system. Can you walk through what that looks like to our listeners and what some of the maybe results have been? Yeah. So right now our, I guess in for the reminder system is not large enough that we could publish a case study or anything like that. So what we’re focusing on right now is that patient interaction and the patient onboarding, um, the previous reminder services and just apps that I’ve downloaded. It takes a long time for you to set up. think If you’re a patient and you’re taking seven medications per day and you get those refilled periodically throughout the month and then each time you get a refill, you have to let this this reminder service know that you got to refill. It’s not very smart, not very intuitive. So what we have built is a reminder service where we can receive that transaction from your pharmacist since we have those integrations and you the patient, you do not have to enter the details into the platform. Um, so we know the drug you’re taking, we know the quantity the day supply, we know what day you need to get your refill. So the onboarding process is way more seamless. That’s what we’ve been focusing on is piloting that to ensure that that onboarding process is as seamless as possible for the patient so that we don’t lose patients just for creating additional friction to get the reminder platform set up. Um, and we’ve experienced pretty good results with that on not having patients drop off after opting in, which has been one of my largest fears. Nick, it seems to me like the differentiator you’re putting in place with both the reminder system and the delivery system is really in the, the, the how the user, both for the pharmacy and for the user on the medication adherence side. So your background isn’t necessarily user experience. How did you discover or think about these different solutions and workflows to make this, you know, how you guys built the product? So my previous job I worked with pharmacies across the US on integrating solutions into their platform and there I realize that pharmacists, they really, they prefer any new solution, new platform that they’re going to use to be integrated into their current platform. They do not want to go outside of their workflow, go to different websites or different portals or anything like that. They have a system that they handle all the billing transactions for every single patient that comes into the pharmacy. They don’t want to get outside of that, uh, they want everything internalized. So I learned that there. So that’s the pharmacy side of it. And then since then, I’ve put a lot of focus onto the patient side and I’ve found just with the pharmacist or the patient, any additional friction that you create for onboarding them or getting them to use your service, you, you lose some of them, they will find other services that are easier to use or stay with their incumbent service since it’s less of a switch, they don’t have to use a new part of their brain to learn this new service. You’re not asking them to make a large change if you both asked to make a small incremental change and then you make sure that onboarding is very, very easy. I’ve found that the adoption on both the pharmacy side and the patient side is pretty significant. What are some of the key performance indicators that you as a company look at to evaluate yourself and your growth in this business? That it’s all over the place. We have a lot. So we look at deliveries were wanting that volume to go up significantly weekly, um, over the past probably 10 weeks. Our delivery volume per week has went up about 300 percent. So huge growth there. We also want have a larger goal of revenue and that type of thing for the year that will likely hit. We want to have close to 4 million in revenue this year and then we’re wanting to impact patients in in measurable ways. So our original pilots in New York City, we found that by offering our service in the, in the way that we train the pharmacies to offer this service, we showed that we reduce their abandonment rate by 22 percent of those participating pharmacies and what that means is that there were 22 percent more patients that got on therapy rather than just leaving the pharmacy and never coming back. That was really important for me to identify that number and show that we could drive it up. It let me know that we’re kind of going down the right path and we just needed to expedite our travel so to speak. Well, so that 22 percent basically wipes out that same statistic in terms of people who were right. Well, so it was not a 22 actual. So we decreased the percentage by 22. So we cut it by a fourth, so that 25 to 32 percent that I spoke of earlier, decrease that by a close to a fourth. There are some patients that no matter how much friction you remove, they still can’t afford to be on their medications. That’s something that I’ve found about healthcare. That’s really unfortunate. Sometimes it’s so expensive for you as a patient, you have to choose between keeping your lights on and taking care of your family or you getting to feel better and feel healthier by taking your medication. And if you have children and a family, that’s oftentimes a easy decision for you. So you, you had an initial pilot in New York City and I think I read somewhere that you operated in Chicago as well. Is that right? Yeah. So we um, did things in Chicago as well. Right now we are making deliveries across 10 states actively every single day. Other states, the volume is so it’s quite a bit lower than it may be just one or two here and there. And then we’re in pricing to launch probably 20 something states by the end of this year, if not more because of the way that we launch in markets. Once we have the infrastructure set up in that career relationship it we have the ability to increase volume significantly. It’s just making sure that our pharmacy partners get the pricing that they need to have in those markets so that they can actually promote a delivery service and it not cost them too much money that they can’t run their business. Why did you being headquartered in Columbus decide to start a pilot program in New York City and then it sounds like a little bit in Chicago. So wanted to start a New York City because I’m very direct. One of our main competitors was in New York City, so I wanted to launch in the same city they were in to directly address that We were better than them. They’ve been around two years longer than us and we’ve made more deliveries in the city than they have already. So I just want it to be able to prove to investors that what we were doing is a better way to build this service and wanted to prove that in a very tangible way. And I think we were able to do that. What are the looking at expansion? Um, you said 20 states by the end of 2018. When you’re deciding on the states, are there different regulatory hurdles since you’re dealing with a lot of potential user data? Some states there are a, it’s more on the controlled servant or controlled substance side rather than the actual data. So we’re fully hipaa compliant. If you’re Hipaa compliant in one state, most of the states have the same threshold for that. The difference is some of the controlled substances on just how we handle that, how we onboard couriers and such. One of the more aggressive states, Delaware for controlled substances. Also we are doing things in California now and for healthcare in general, sometimes they function like a completely separate country. So there are some regulatory issues in California that we have been able to traverse and a handle. Healthcare is such a crazy complex space. Do you credit, you know, just having spent some time in the industry for being able to navigate this and what seems like a pretty short period of time? Absolutely. I think for a script drop we started off on second base. I had a network, I knew what needed to be done for a prescription delivery service as far as who to integrate with and the contacts, so we didn’t spend our wheels too long, but at the same time I’ve learned just as much, if not more from starting scripture up as I did at my previous job. And the more you learn about healthcare, the more you realize you do not know enough about it. I just try to create a environment that I’m constantly learning and bring in others that know more than I do so I can increase those learnings. Let’s go back a little bit further on you. As a founder. What was kind of your story to get you up to this place right now or even that last job? What, what, what was nick like in high school and college and after. And is this your first business? does this feel different or does this still feel like an experiment? No, this is way different and none of the. Nothing I did previous did I have a lot of different paying customers or the ability to scale a team or anything like that. It was more actual little side project with this. We have a lot of people in our corner a lot. They believe in what we’re doing. It’s not just me believing in the vision and the direction we’re going in, which is fantastic to see. It means that I’m getting better at communicating everything. And you’re not just going independent pharmacy to independent pharmacy. Right? You’re, you’re working through a distribution network or a partner who has a lot of pharmacies under their umbrella. and that’s huge. That really speaks to the problem that they’re feeling. Right. Can you, can you explain sort of in their terms what, how painfully they feel that problem and you know, why they, they were looking so aggressively for this? Yeah. So it’s not just it, let’s say it’s the top six chains that I’ve spoken to have this exact same problem, if not the majority of pharmacies in the US, they did not have a solution that’s in workflow. So they would have drivers that they would either call each day to queue up a prescription delivery. They would go into a separate portal which is outside of their system, which they hate to queue up that and they would have to type in every single detail manually. Whereas when you integrate and you get into their workflow, that data’s already there. They do not have to type it in a second time or anything like that. And then they also had relationships with careers where they would just stop by the pharmacy each day. So Jay, the courier driver, you just go by the pharmacy each day you pop in and say, Hey, do you have anything for me that’s not very efficient. So what we do is we get in their system, they’re integrating and then we integrate with the courier. So you as the pharmacist can queue up a delivery in that communicates directly to the career, so you do not have to go out of your system, you do not have to type something in for a second time and you don’t have a career that’s just popping in to see if he or she has business for the day or in order to drop off for the patient. The only time they come into your pharmacy, they already know who they’re picking up for, they know where they’re dropping it off and they have their route already preplanned out. So it’s even more efficient. On the courier side, one of our better relationships with the courier, they actually introduced us to a pharmacy chain they’re working with because they liked working with us and they felt it was more efficient. They could improve their margins because they don’t have just drivers waiting around in a parking lot to for 2:00 to hit, to go in their local pharmacy to see if orders are there. So we’ve had salespeople business creative for us on the side that I didn’t expect that to happen from. So let me ask a simplified, question, how does script drop make money? What’s the business model? how big is your team right now, nick? In all we have about 13. We have some outsourced or some contractors that, uh, on the data side, but we have probably five that are coming to the office every single day that I get to see face to face. And then we have various team members in different states. We’re definitely adding to the team and we’re going to grow pretty quickly over the next 60 days. But I have collectively tried to run lean and be very, very efficient with both our time and the capital in which we’ve raised from investors. I’d say so, 10 states, uh, the, the third largest pharmaceutical chain, and a team of less than a dozen. Yeah. Yeah. And 4 million in revenues are looking like it. You just mentioned your, the people that you raise capital from, what has the capital raising process looked like to you thus far at script drop? you can give me both. Yeah. Okay. So to date we have raised about one point 1 million, so we have not raised too much money from the VC side. We ran really lean, been very efficient with the capital that we did raise. And like I said, we didn’t spend our wheels for too long. We knew what needed to be done so we didn’t have to go through a lot of product iteration or ab testing or anything like that because we knew the industry. So we were lucky in that regard. Our original seed round was led by rev one ventures, which is based in Columbus, Ohio. We did have a term sheet from a west coast vc at that time, but they wanted us to move to San Francisco and it was non negotiable, so I ended up turning down that and staying in Columbus because that’s where my professional network is. It’s just easier for us to secure a talent and we kind of know that talent’s ceiling so I wouldn’t make a bad hire for the first couple of employees. Whereas if I had went to San Francisco, I could have done that and made a bad hire and it could have some company and not to mention it’s very expensive to live there. Yeah, I’d love to talk about that a little bit more because obviously that’s at the core of what we want to highlight on this podcast is some of the efficiencies and being outside of Silicon Valley and building a company in that way. You. You just touched on talent being expensive and also living in San Francisco being expensive. Is there anything tied to your specific industry or your customers that is better here than in the valley or in California? I don’t think so. So in the healthcare in general, from what I’ve learned, it is not location dependent. It is network dependent. You have to have the right network to build a health care company. You have to know who to speak to and they have to have some type of warm intro to you or have known you already or you will not get an email answered or a phone call returned no matter how persistent you are. So it is more network dependent than location dependent. Even if some of the west coast vcs feel like it should be location dependent, I’ve found that it’s not. And then in Columbus you have other healthcare startups that have been very successful that are growing pretty significantly. And then also you have cardinal health that’s in Columbus, Ohio, and so they’re a big player in healthcare. They’re one of the largest wholesalers in the world for pharmaceutical products. Not to mention all the other business units they have, so I certainly feel like the Midwest and Columbus, Ohio specifically is a perfect spot for a healthcare company. As long as you have that network. Besides Columbus being a great place for health care. I know you spent time in Nashville, you’re from Nashville and that’s a pretty big healthcare city too, you guys. When you started script job did actually spend some time in Nashville. Can you talk about that? Whenever we raised from an angel, we raised very little, so what I did was moved back to Nashville in my parent’s backyard in a trailer to cut down my personal burns so so much that I did not have to pay myself a single dime. I felt that that would get us further with that. A little bit of funding that we had raised. Get a pilot up and running, get it in New York City and then get some type of feedback loop going from the pharmacies. So I was there. I ended up being there about 10 months, but. And then we raised our formal seed round, but healthcare is a great area in Nashville as well, but me specifically Columbus made better sense of the professional network that I have in Columbus. Also I found in Nashville with it everything kind of being a spinoff of Hca, they’re really on the hospital side. That’s what they’re experts at in Nashville is the hospital side of healthcare. So the the prescriber side rather than pharmacy. There were very few people in the city that knew anything about pharmacy that I could connect with. Whereas in Columbus it’s more of a mixed bag rather than just one side of the healthcare ecosystem dominating everything. So I have a better network of mentors and just people with an insane amount of knowledge that I can draw upon in Columbus. But certainly I have some contacts in Nashville now from that 10 months there that I have called upon probably more frequently than they would have liked. so Hca, it was a hospital corporation that started in Nashville. I could look up who founded it. I think it was Bill Frist, if I remember correctly, and what has happened is there a multibillion dollar conglomerate, they had a bunch of their early employees that started spinning off in launching their own companies and then from there it was each company that they launched it with some new efficiency on the hospital side. So there’s a. At some point when I was in Nashville at their entrepreneur center, I was shown a spinoff map of Hca and there’s about 150 companies I believe, that have spun off from Hca and they’re always really on the hospital side, um, whether it’s data or analytics or anything like that, but it’s less on the pharmacy space, which is what I know more about. But I certainly was able to learn a lot from those folks while I was there. Looking forward in the pharmaceutical and pharmacy space, you’ve probably developed a, you’ve definitely developed a fairly robust understanding of the space and that probably lets you see around corners a little bit better than people who are outside of it. So what do you see as the five year trends in the pharmacy and pharmaceutical space? I think that you will find that there rather than. So you earlier you mentioned mail order. I think rather than it just being all drugs being male order, they will. It’ll start being certain drugs that are more frequently mail ordered than others. I can see that trend already starting to happen because there are certain drugs that have a lower threshold of lower buried, a barrier to entry to get approval and get your license to be able to ship those out. Also a patients, they will start using technology more heavily. Right now I think our average patient age for deliveries that we’re doing is like 55 years old or so. That is going to start trending down as our age group and the 30 to 40 year olds. They want that convenience so you’ll see apps taking more of an APP centric approach on delivery for healthcare, for prescriptions in general. Also the wearables I think are going to be big as sensors and that type of thing. The other thing that I’ve taken an insane amount of interest in recently is some of the, the food choices and how that effects the efficacy of various drugs. So there are prescribers that are starting to write, it’s essentially food prescriptions, so they will tell you the patient, Hey, I’m writing this prescription for a drug, but here’s the idea that I would like you to get on that improves the efficacy of this drug and will also improve your overall health. That’s an industry that’s starting to explode that I’ve found a quite a bit of interest in. That’s super interesting. I’ve never heard about that. Does that combines some sort of nutritionist education with the pharmacist to be able to do that or is there some database they can tap into to help with that? Uh, so there are companies that are starting to put together these nutrition plans and then even the pharmaceutical companies are getting into this as well. They will sponsor grocery programs and meal kits and that type of thing for patients that are on there, their drug. Because if their drug does better than the sales go up, the patients are happier, the health plans are happier because the patients are healthier, but sometimes it’s not necessarily just that drug. If you’re a diabetic patient and you’re taking some type of medication for your diabetes, but you continue to eat terrible, that drug doesn’t matter as much. Um, but if you combine that, that therapy with you, improving your diet as a patient, suddenly the efficacy of that drug goes up dramatically and your health will go up as well. So it creates a win win scenario. So it’s just taking a more holistic approach and a more macro approach to patients health rather than just continuing to write prescriptions. That’s not the end all. Be All. I wonder what the process of education is like on the patient side for that, because I’m sure a patient, if they’re saying, I’m paying $300 a month for medications, and you tell them, well, by the way, that $300 a month you’re paying for your medications is ineffective because your diet so poor. I bet a lot of people just don’t even understand that or know that, but they will be much more willing to change that diet with that education, but that’s got to come from what the pharmacist or their doctor. for both an effort standpoint and a cost standpoint. but maybe the reminder ecosystem that you guys are setting up script drops will find its way over into these kinds of companies that you’re saying are developing in this kind of food choices. Food, prescriptions space. with such a lean team. Nick, how do you guys prioritize where you put your focus in what areas of the business you work to improve or grow out first with all the different sort of avenues of opportunity here you’ve mentioned? Uh, so right now sometimes we have to turn down business, which is a, it can be frustrating when you’re trying to grow, but I think we collectively have spirited debates is what I call it. Everyone getting into a room and then creating the environment where no idea’s bad and we want to talk through everything. Then having some type of, I guess plan moving forward after that meeting and then we try to get a feedback loop going right after that where that feedback loop, we can either continue down that path or iterate and say, hey, we thought this was the structure that we should roll out, but this is actual actually the better structure over here because we have more data to make a more informed decision, but it’s continuing to do that and being open to being wrong because we’re not always right. Is that kind of the process that happened in November when you guys are looking at doing an ICO or is that separate? No, that is the process. Exactly. And can you walk us through like what the thought behind that was and why it didn’t end up happening? Yeah, so we. Part of it was on me. I’m just flat out. I marketed the token sell the wrong way, so I was more focused on selling out. That’s what I wanted to do. So I was talking to all the largest crypto funds and a lot of the really heavy hitters in the block chain and bit coin space and that’s how I marketed it rather than focusing on distribution. So when we got close to the time of the token sale going live, we could have sold out absolutely. I had done what I had set out to do, but I had the wrong objective. I should have focused on distribution. So we had about four or five purchasers that wanted to purchase every single token that script drop was going to offer. So it was very, very, very top heavy. Whereas if I had focused on better distribution, we could have had thousands and thousands of purchasers rather than four or five wells at the that owned 75 percent of the token. A lot in what would have happened is they would have controlled our destiny in some regard because they could have asked for features or ask for xY, , Z. and if they didn’t get it, they could have threatened to dump the token and it would have crashed the price. Which I was really sensitive to. What we were wanting to do with the token, which is ultimately to reward patients, to then allow them to buy down their copay with those tokens. So if someone wanted to crash the token price on my side, that’s less patients that we can help. So I was really sensitive to that type of scenario. the second part of it is the legal environment and landscape is shifting dramatically. It was shifting even more quickly back then, so the other thought was less weight on the new year. Uh, hopefully the SEC will come out with some guidance on token sales, which they haven’t came out with very, very direct guidance. It’s been more just kind of creating a very, very loose framework, which I’m still uncomfortable with. Ultimately, I want to set script drop up for the next 10 years, not create a short term cash grab in that, you know, we have a win over six months that that was, that scenario was not okay with me. Eric, you’re on the blockchain task force at your company. Can you talk to us a little bit about what you’re seeing in that environment or can you riff off of what nick just said a little bit? Yeah. I’m actually. So token sales are incredibly polarizing in the regulatory environment. So Nick, just for a little background on what our blockchain task force does. We actually have a couple of people here who used to work at the sec who used to work in government regulations and we provide compliance advisory and security advisory through a cryptocurrency security standard to clients just last week. Clayton the im blanking on his first name, but Clayton, the guy who in charge of the sec, he said that almost all ISOS are guaranteed to be securities, but that doesn’t mean they can’t evolve into utilities. So what Nick said with it being a very loose framework, and I think he was referring to the how he tests when he brought that up is even more so now because it’s like he acknowledged the fact that they could be utilities, but they’re not right now, but they also might be. So there’s a lot of regulatory hurdles that come in just from the sec side, um, and that doesn’t even get into the irs and the CFTC and when you get to Ofac and the treasury department, it gets even crazier. So. And you mentioned that how he tests that. That was always frustrating to me. Yet we’re basing the legal framework of this really new technology based off of a 1946 supreme court case where as this technology has evolved the last, let’s call it decade and then we’re using a supreme court case that’s 60 to 70 years old to I guess chart the path of how this technology can help healthcare for me to be more selfishly and help patients. Yeah. There was someone from the sec who is speaking or maybe a different regulatory agency who was speaking at the Mit blockchain conference and he said that regulators are right now have to decide whether to integrate cryptocurrencies into the existing framework, which is what they do currently decided to do. Isolated, which is put it in its own bucket for awhile until you understand it better and then create regulation around that. Or regulate it, which is the strictest way to go about that, which is like aggressively pursue it right now. So it sounds like right now most agencies are attempting to integrate it into things that currently exist. There’s a few examples around the world and I believe Switzerland is one where they set up very specific isolated guidelines, but there’s not many a lot of complexity there. I love learning about this stuff. Back to script drop a little bit nick. So you guys were gearing towards a token sale with a ceiling of, I think I read 17 and a half million dollars and didn’t pull the trigger. What does that mean to the direction of your business in terms of burn rate or future? That’s. That’s a significant amount of capital raise that you were thinking might come through that you just kind of said, we’re not going to do that right now. What were the downstream effects of that? help the patient, we won’t do it. So it sounds like in three to four years as we see tokens and crypto currencies and evolve and you get smarter on how it can fit into your business, this isn’t something that is out of the realm of possibility to re-examine. Is that a fair assessment? Absolutely. We’re actually talking to a large customer right now about a blockchain pilot with some things that we can do with them in the blockchain space to track some of their patient adherence as well as rather their patients are picking up the prescription at local pharmacies or not. But we don’t need to do an ICO to do that. So we removed, we removed that risk, but we can still apply the technology to healthcare and even using tokens to track the patient adherence and that type of thing. Um, but we don’t have to worry about getting an indictment from the sec. Got It. As Eric mentioned in our intro, I’ve been spending a lot of time watching movies lately and I would expand that to also netflix original documentary series, so I’m watching dirty money and there’s an episode about a pharmaceutical company called valiant and how they grew very, very quickly and they’re sort of pe model for growing a company in the pharmaceutical space. But the punchline of that was Martin Scarelli who a lot of people know for jacking the prices up on one drug is a small example of what valiant was doing on a very large scale, which was increasing the prices on a ton of their pharmaceutical products. And that also became a key point of the 2016 election. What’s, what’s the future look like in the pharmaceutical space for drug pricing and does that have any bearing on your business? So it will have effects on our business in various regards in it could be very, very positive. It can be slightly negative on our side as long as we focus on two things, making the service very easy to use and then focus on helping the patients, those types of political issues and such and pricing issues. We’ll take care of themselves, but at the same time in healthcare for pricing, we just need to create an environment where there’s more transparency. It’s not just pharmaceutical companies. It’s from the time that the drug is developed from a pharmaceutical company all the way to getting dispensed to the patient. There’s not pricing transparency for the patient. They do not know what they’re paying for that you can go to one pharmacy and get a price today and go the same day to another pharmacy with the same exact drug and get a different price. That’s what from the patient side is frustrating that there’s no transparency, no consistency on what they’re seeing on a day to day basis and it affects them the most. Because in situations where you need this drug and you’re deciding between keeping the lights on or picking up your prescription from your local pharmacy, that’s ultimately not fair to you. At all, that’s what I would rather focus on rather than one company or another company is just creating an environment where there’s more transparency from end to end. And Nick, can you give us a high level, let’s say five years from now, you know, what’s, what’s your vision? What’s your goal for script job? Where do you see things going on a three to five year horizon? Um, so the, the high level just number that I’m wanting to hit is I want us to help a billion patients so it could be me helping you twice and I’m going to count that twice, but we want to help a billion patients, whether it’s through delivery, through blockchain are med reminders. We want to help a billion patients in the next five years and I feel pretty strongly if we attach ourselves to that number and we hit it, that all of the other things will kind of waterfall under that and will be successful and everyone will be happy. So that’s my big number that I’m chasing. it would. I think it would heavily rely on the medication reminders, um, because that’s a more scalable solution with prescription delivery. We built it to be very, very scalable. We have a small team and we’re in quite a few states and we’re a lot of volume is coming through our system right now, but at the same time you have a person that’s making that delivery at the end and that’s a, that’s a, we’ll constantly be a failure point. Whereas the medication reminders, it’s more reliant on software that we can load test and make sure that it’s efficient and we don’t have that one breakdown in communication that has a decent likelihood of becoming an issue over time. So I think going from the 1 billion to 10 billion will be medication reminders that’ll get us there. Is there anything we’re not asking that we should be asking about this space? Well what’s your take on that? So for us specifically, Amazon has helped our business. Once they started talking about getting into healthcare, it was really nebulous on where they were going to get into it at. No one knew their entry point. So a lot of the pharmacy chains, the pharmaceutical companies, the PBMS, they just went into protection mode so they wanted to protect all their different lines of businesses in various ways, but they didn’t really know the best way to do that. So they just started reaching out to startups to improve efficiencies. So when that started becoming a larger and larger rumor, we had large pharmacy chains reaching out to some of which were in contracting with now to shore up different weaknesses in their process. So it’s been good for script drop and I think ultimately it will be good for healthcare if I’m being 100 percent honest for the patient because it creates more and it makes all of these other companies that may have had an oligopoly going on to kind of think outside of what they, their previous strategy and shoring up things and I think it’ll drive that towards that transparency that I spoke of earlier for the patient. Great. That answers my questions. Eric, did you have anything we didn’t get to? Just one wrap up question. You have done a little bit of work in New York City. It sounds like you’re pretty engaged with what’s going on in San Francisco. What has been kind of the difference or benefit that you’ve seen from being in the middle of the country with script drop? So for me it’s the professional network which that could have happened anywhere. So I don’t think that’s location dependent for being in the Midwest, but certainly talent is cheaper just because of cost of living. I don’t think they’re the capacity of that talent is any less. You pay less for it because they did not have to pay $3,000 a month for rent. Also, a lot of the universities in the Midwest, they’re cranking out very bright students at a very high clip that should not go unrecognized. Even in Columbus we have one of the largest universities in the entire us. I’ve interviewed different candidates coming out of Ohio state and they’re very impressive. So I think you can build a very scalable company in the Midwest and have access to the talent that you need to do. So. Oh wait, one thing I did want to touch on, can you talk about your experience on the price is right? Yeah. Um, so a couple of years ago now, it’s been a while ago now, I was on the price is right? So it was my previous company, they have this program where they will you, I guess pitch a dream that you have another developer, their pitch something and he wanted to go and prices right. So he was one of the ones selected. He then got I think like $5,000 at the time. So he put other employees in a hat that wanted to go. I was one selected out of the hat. So after that, how I do with things as I went into research mode. So I researched the process to get on price is right. I read different blogs. I’ve found that one of the producers had written a book that talked about their selection process. So I, I ordered that book and read the book and I put together a game plan. I found all the questions that they ask in the interview process. I had a response perhaps for all of those so that it felt really natural that I could speak in front of a crowd and wouldn’t stumble over my words or anything like that. So then right before I went in for the interview, they interview in like groups of 20, but the whole time through this process you’re standing in this really long line, it takes like six hours to get in there or something. There’s cameras everywhere so they’re making sure you have enthusiasm. So I made sure to be the loudest guy in the room, the loudest guy in the area the entire time and then about 30 or 45 minutes before I was to get interviewed and to go into the studio, I took a couple of shots of whiskey just to just to get my mind completely right. And then the producer interviewed us in groups at 20. I was one of the ones that did well and then we went inside. I was still maintaining enthusiasm, dancing, jumping around, and then I ended up getting called down so that after they called down there original four on contestants row, one lady went up and then I, I ultimately got to replace her and I had studied the games as well and knew some of their percentages and which ones were easiest and how to play them. I actually ended up doing pretty poorly at my game, but I won it and then I got to spend the wheel, so I spun the wheel and ended up getting down on for the showcase showdown in one the entire show. I want a car and everything. I had no idea how analytical the process of getting on the price is right is. There are so many parallels between what you did and like an investment banking interview and you did so much more work than like any junior interviewing for an investment bank. as amazing. Nick, thank you so much for joining us. Yes, thanks for having me. I really appreciate both of your time. Alright, so nick potts prices, right, champion. Eric, what do you think? Well, the price is right. I mean, so they sent over a website and did you know the, the website url? Yeah, the website is nickclapping.com and one of my favorite websites on the Internet. It is hilarious. I the price is right thing completely surprised me. Jay happened to know about it beforehand, but I had to mute my mic because I was laughing so hard. The, the website. You guys got to go check it out. It’s, it’s, it’s just hilarious. I was. Yeah, I was just sitting on that. Didn’t, didn’t give eric any warning at all. Nickclapping.com. Please check it out. Otherwise, let’s get into our last segment here. Eric. What are we about to do here? So we’re going to look at, we mentioned the upfront that we’re going to look at at verbal version of a deal memo. A deal memo in its traditional form is a written document which lays out all the reasons that you would invest in a deal and all the reasons you might be cautious about investing in given deal. Um, you use this to communicate with investors such as like your lps in a venture capital fund or Private Equity Fund or team members to crystallize your thinking. Uh, what we’re going to do is a simple walkthrough of some of the things that we’re thinking about after talking with Nick and doing our research. Did I miss anything, Jay? I think you got it. We’re, we are using this as a barometer to gauge our own instincts and feelings and you know, evaluations of companies at this stage. We actually write down our thoughts through these interviews. We make notes that we can discuss in this deal memo and we’re looking at what do we think about the opportunity, what do we like about it? If we were to invest, what are the, what are the reasons why we would, what are some of the areas of caution that we want to take note of what outstanding questions we have, but this is meant to make us smarter because we’ll look back at this six to 12 months from now and see how script drop is doing and see if our thoughts were on point. We also use it, you know, to help make you guys smarter and we absolutely want to hear your own thoughts in this deal memo section. So if you had some thoughts listening to nick or outstanding questions, please tweet at us @upsideFM. We’d love to hear that and interact with you. Uh, this is a collaborative exercise. So together we should get a lot better at this. Eric, what are the four questions that we’re trying to predominantly answer through this deal? Memo process? Jay and I are gonna riff and a bit informally, but there’s gonna be four questions that we want to answer indirectly. One, how committed is this founder? two, what is this founder’s chances of success in this business and in life? Three, what does winning look like in terms of revenue and our return? and four, why has this founder chosen this business? All right, so jay, what were, what was your biggest takeaway to the positive after our interview with script drop? Biggest takeaway. Well, I don’t know if this is the biggest, but it’s definitely the most recent in my brain. There are a lot of points in that interview that I was just impressed from a standpoint of patience and intentionality from nick is a young company. They’ve had some good traction early and they’ve had a lot of opportunity and it sounds like even in situations where maybe they move forward quickly down a path that they later questioned, they do take the time to question what they’re doing and make intentional decisions based on new data points or all the data available. I think that’s really a good sign from a founder and a team perspective. They’re willing to do that and they’re willing to sometimes ignore sunk costs and say, yeah, maybe we’ve marketed this for eight months, but right now in talking about the ICO obviously, but right now this isn’t the path forward for our company, so we’re just going to move forward. Without that. I know what it’s like to be in a position where you’ve put a lot of time and effort towards something and then you realize the juice isn’t worth the squeeze and it’s hard to ignore human bias in go forward without still squeezing the orange. Is that what you’re squeezing when the juice is worth the squeeze? but not bananas. Definitely not a banana. It’s definitely wasn’t banana juice. Could have been apple juice, but it’s pretty hard to squeeze the juice out of it. Hard to squeeze in Apple. So Eric, what were you, what were your thoughts? and on some level he’s got, he’s got some data to back up that they’re doing more deliveries in that state with two years less experience in that city I should say, and doing well with that. So yeah, I think that’s ballsy. That’s competitive. That’s something that’s a founder that you. You want to support. Yeah, absolutely. What were, what was maybe like a couple of the areas that you were a little cautious about, like what were some of the things that you’re like, Eh, I, I see where you’re going with this, but there seems to be some real hurdles or obstacles or something like that. The one area that I’m most curious about, it seems like there’s a lot of leverage like business leverage put in to the idea that these reminders are going to provide some sort of data. So I, I expect that it’s like, hey, it’s time to take your meds, comes in and in a text message and then an hour later it says, did you take your meds and then the user is supposed to say yes or no to opt in. A lot of the second prong of his business model seems to rely on some of that data and that data seems very like it’s pretty core to the business because pharmaceutical companies like you mentioned, have never had access to some of those things. So I would be curious to see what the product develops into and how it becomes an active part of user’s life to self report that they are or aren’t taking their medications. I’m not sure it’s all text message driven. I do. I’m not sure in the actual product, but I think early on they were working with some of these in home devices like Alexa, an echo. Oh, she’s talking to me one second. Sorry. Meter. You got to be careful with your robot spies on the podcast. You got to be careful when you. When you say the name Alexa, but I think it didn’t rely on some of these home technologies to give that alert. I’m not exactly sure what else went into that product. It sounds like you’re still in development on that, but to me what stood out is any improved adherence you have for the individual, it’s going to lead to better health outcomes, but improved adherence also eliminates a lot of the costs in these in, in the system, so whether the reminders are geared towards adherence and whether that has a 50 percent efficacy or a 100 percent efficacy. Any level of efficacy. Efficacy has a positive outcome on the user and on the cost of the system. So I would expect whatever they do in that space they can iterate on and just continue to improve and you know, it’s icing on the cake. I almost ice cream on the cake. You know what? I like ice cream on the cake better than icing on the cake. I’m a big ice cream guy. One area that I also loved, going back to the things we like about it, you and I are both big Josh will fans for those who don’t know Josh Wolfe is a partner and Co founder of Lux capital in New York City. They do some pretty far out investing both in like the seventies terms of like, well that’s far out and also far out in the terms of 10 plus years looking at the horizon of technology, but Josh, I think he tweeted it or set it once that when things become a abundant look for what has become scarce and I think that connectivity is at an all time high in terms of abundance. So true relationships and ins are becoming more scarce and I think that in this industry especially that scarcity is paying a huge premium and nick mentioned that when he was talking about his relationship mode in the industry and I think that that is something that if executives and even like hr managers or operations people aren’t going to respond to your calls or texts or emails. No matter how many you send them. That’s a huge asset. That’s not going to show up on the balance sheet. We love sports metaphors. We love baseball metaphors. There’s a lot to be said about starting out on second base. right? I, that’s what tinder made all their money on. I don’t know what you mean by that, but. But uh, yeah. So I think something that really struck me from an opportunity side of things, they have revenue targets of $4,000,000 this year. They have a team of, you said for that come in the office every day and they are in 1200 stores. Well, sorry you said the article I read said 1200 stores last year with the goal of getting to 13,000. That’s why distribution, huge customers actively doing those deliveries successfully. Each delivery has its own charge on top of it and their burn is real lean from a standpoint of number of headcount and where they’re located here in Ohio. So that speaks very, very well. I think he moved to Nashville when starting this company back home to keep the burn rate as low as possible. Didn’t need to do that. He’s just got his company’s numbers cost vitals, top of mind. I thought that was really impressive. Yeah. Not Too many people that are launching million dollar tech companies for million dollar revenue tech companies out of a trailer in their parents’ backyard. I love that dedication to the idea and his fascination with keeping head count or keeping head count and cost as low as possible. What’s your take? You’ve got the background in blockchain, so two pronged question. What’s your take on the potential of this business using blockchain and second part, putting on your investor hat, What level of concern do you have with a doing an ICO and then be backing away from that plan? and some downside risk potential, right? Sure. Yeah. Of course there’s downside risk potential from a regulatory perspective. There’s downside risk potential from a security standpoint. There’s downside risk potential because now you have to value these things internally. There’s increased administrative costs because you have to deal with all of that stuff and it doesn’t seem like the growth trajectory which this is on is worth that. I’m not saying that there isn’t some potential benefit to incentivizing users in the future if they decided to offer some sort of token. Um, but nick mentioned that he said it was on him because their distribution was going to be. It was essentially going to be a centralized offering. Right. It wasn’t like everyone was going to win on the platform, it was essentially going to put new owners and control, for lack of a better way to look at it. So I think he, they made a great decision, not ICOing at this point when they had so much traction and so much so many new things in the pipeline that they could grow at a similar rate or increase their operating leverage to increase their runway going forward. Yeah, I just thought that level of awareness and that ownership was very impressive and commendable to say honestly that was on me. This was my goal. That was the wrong goal. Even though I accomplished that goal, it was not what was best for the company. And so we backed out, um, his, his, his fixation and I say that in a positive way on the patient experience and the patient outcome is a positive to me. Yeah. And I think it’s commendable to turn down 17.5 million dollars or whatever they would have raised. Honestly it was November 2017, so I’m not sure exactly what I’m. All the deals and talks were behind with all the crypto funds, but if you look at any chart anywhere, I think the market peaked at like $750, billion in market cap in early December or late November, so they would have potentially rose much more than the money that he was, that we saw in that article. And that’s said 17 point five. So I’m very, uh, I think it’s very commendable that he turned that down for a longer term vision. I think it’s very impressive that he saw the bigger picture and it sounds like, and then that last four to five months, they’ve made some really good strides that made that decision look really, really good in the back in the mirror. Not to mention all the pressure they probably got from investors to cash out their $1,000,000 investment into $18,000,000 in less than what a year. Yeah. And we see this all the time. Startups that get distracted from their primary objective to pull in short term revenue. Some of that because they simply need to extend their burn and they’re in a rough spot. I didn’t get the sense that script drop was particularly in that spot where this was like, we need this now. It seemed like there was a little bit an opportunity space that they identified as opposed to a, a, I want to call it a last ditch effort, but something that was completely just need based revenue. Right. But, um, that speaks to, again, how capital efficient they are, that they are able to walk away from that and still be in a space where they could pursue their primary objective affectively with existing capital and the prospect of new customers and potentially new institutional investment down the line. Right. I love the question that we didn’t ask to ask a question about and he, he gave a great answer who is own question, which was Amazon and Walmart getting involved. How does that actually help or hurt his business? And it sounded like a lot of these fragmented chains onc, Amazon announced realize the value that they were probably leaving on the table or that their business was no longer going to exist if they didn’t increase efficiencies and find other ways to dig deeper modes. Um, so they started reaching out to startups and not the other way around, which is fascinating that Amazon has that much power, but also some parts of startups are just being really lucky. Right? Um, and just great timing. This isn’t the first time I’ve heard a startup founder tell me that they actually really took off and increased sales and distribution when other competitors entered the market and started selling the idea to their potential customers. So they started looking around and becoming aware because when you’re, when you’re acquiring new customers, the first level question of how much is this going to cost me to acquire a customer is do they already have awareness of the problem and are they already seeking actively solutions to the problem? And sometimes as a startup you’re early to the market and people aren’t yet seeking solutions because they’re not so aware of the opportunity. And that was, yeah, that struck me as a really good point and interesting point that this new entrance of competition quote on, if you can call it, that was a positive for him. But it also sounded like he was not concerned with that as a threat to his business, not just from a competition standpoint, but from a pricing standpoint or a model standpoint. So looking at our questions here, we’ve talked about Nick’s commitment as a founder. We’ve talked about our feeling on his chances of success. You know, it’s, it’s pretty cool to see how driven he is. He says he started some things or tried to start some things. Never really got any traction. This is pretty impressive from what looks to be the first real swing of the bat for him. Obviously his team’s experience at cover my meds in the healthcare space has helped them identify these opportunities and help them start building these relationships. Which again, that’s. That’s a positive in my book. Is there anything I’m missing that you wanted to touch on? I Think you did a great job on that side of Things. I think that when we look at why this founder chose this business, we already answered that as well, which is he understood that the most important thing in this business was his professional network, which is why Columbus was just a great place for him to launch this business and why he got to start, as we said earlier on second base now, the one thing we haven’t really quantified yet or thought about is what is a return on this business look like? Where does. We asked him, where do you see yourself in three to five years, and he said he wants to help 1 billion patients, but from a potential investor, what does that look like for us? Well, I’m looking at the top line note number of costs. The system of $300,000,000,000 for nonadherence. That’s a pretty sizable market. Especially if you consider yourself working with a top three pharmaceutical chain and it’s also a top two grocery chain and it sounds like they’re in talks for a couple more. That the fact that Albertson’s bought rite aid recently sounds like consolidation is happening in that space. Maybe it’s driven by some of the other things happening in the market like Amazon and Walmart and getting into it, but to say the top level cost is $300,000,000,000 to the current system that exists. We’re working with some of the biggest players. We’re in 10 states. We’re looking to roll out the 20 more states this year and we’re in talks with two other large pharmaceutical manufacturers or maybe said a pharmaceutical chains that looks pretty promising. I don’t have the numbers in front of me, but that gives me reason to believe if we crunched those numbers there’s going to be a pretty good return. What did you think? The way you’re looking at it. It is great. The abandonment issue is definitely huge and I can see why pharmaceutical companies would be super incentivized to make sure that it is no longer huge, but looking just like really, really back of the Napkin math. Right. If you, what was the number of stores? Uh, again, that they were in. so if we say that they’re at about 10,000 now with $4 million in revenue, right. That means average revenue per store is what? $500. Is that right? I’m doing it. I’m trying to do it in my head. They call it. They didn’t tell me there’ll be math. for a little back story there. Jay and I both applied for a management consulting role at a fairly large management consulting shop and we both got invited to the same dinner our senior year, which is like the people who made it past the first round and then there was one case interview on the final day and well neither Jay or I have a consulting company on a resume at this point anyway, so we can do a flat line analysis there of what we think based on how many stores and how, how much current revenue there is, what we think the actual market is right now. But yeah, I was right, it’s like 400, $500. So yeah, I think that that’s just looking at the size of it. Right? And that’s, that’s a very small number of stores. I don’t know how many pharmacies or are in the United States, but if we just took that case strategy and said if they’re in 10 states with 10,000, let’s say that there’s 50,000 in 50 states and they’re not doing everything yet. Right. So you can really extrapolate revenues pretty big pretty fast. I’m looking at some comparables, billion dollar exits in the pharmaceutical space are not crazy to think about. Um, and it seems like they’re doing some really unique stuff with some deep moats. So if all things hit correctly and it explodes and everything, it definitely can be Unicorn potential. What are you thinking in terms of this company’s opportunity six to 18 months from now? Or what are you looking for? If we look back at the six months from now, 12 months from now, what are you looking for out of script drop? Yeah. I think for me the most important thing is that that number of stores keeps increasing because their product’s going to get continually better. Right. And then finally the in theory, right? Knowing Nick and how attentive he is in their ability to sit down as a team and hash out ideas and look at and make decisions collaboratively. It sounds like their product will get better in theory, but if the growth into stores goes in leaps and bounds in the next six to 18 months, I think that’s the key indicator I would be looking at. What about you? Yeah, well we asked him directly about his kpis and he touched on delivery volume says over the past 10 weeks it’s increased 300 percent, so I’d be interested to see six months from now how that number holds up, if that’s continuing to go up, where that flat lines at because some of that’s probably just coming from going zero to one, but as they get some saturation, how does that continue to grow and what does that mean for their annual revenues? He says they’re shooting for $4,000,000 this year, 12 months from now, what’s their new target? Twelve months from then what’s their new target? So that’s what I’d be looking for. I’d also look at their abandonment reduction. Right now it’s at 22 percent. As the product continues to improve, did they improve that abandonment? A reduction as well. Okay. Well thanks for listening everybody, uh, let us know what you think about this episode about script drop. You can email us hello@upside.FM, or tweeted us @upsideFM. We’d love to hear your thoughts. We want to make this a conversation. Let us know if you or someone you know it’d be a good guest for the show. We’d love to talk to them about that as well. And if you like the show, please subscribe on itunes. Please review on itunes as well. That’ll really help us bring on more quality guests like nick to the show. Eric, anything I’m forgetting? I don’t think so. Look forward to talking to you guys next week. All right, next time later. That’s all for this week. Thanks for listening. We’d love to hear your thoughts on today’s guest, so shoot us an email at hello@upside.FM, or find us on twitter @upsideFM will be back here next week at the same time talking to another founder and our quest to find upside outside of Silicon Valley. If you or someone you know would make a good guest for our show, please email us or find us on twitter and let us know and if you love our show, please leave us a review on itunes. That goes a long way in helping us spread the word and continue to help bring high quality guests to the show. 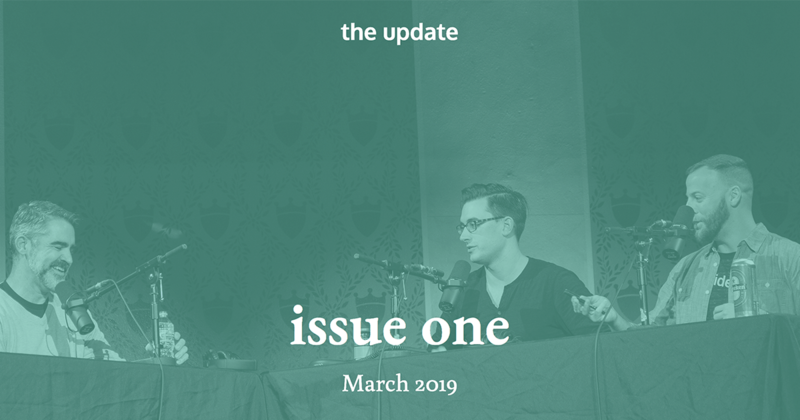 Eric and I decided there were a couple things we wanted to share with you at the end of the podcast, and so here we go. Eric Hornung and Jake Laos are the founding partners of the upside podcast. At the time of this recording, we do not own equity or other financial interest in the companies which appear on this show. All opinions expressed by podcasts. Participants are solely their own opinions and do not reflect the opinions of Duff and Phelps Llc and its affiliates on your collective llc and its affiliates or any entity which employ us. This podcast is for informational purposes only and should not be relied upon as a basis for investment decisions. We have not considered specific financial situation nor provided any investment advice on the show. Thanks for listening and we’ll talk to you next week. 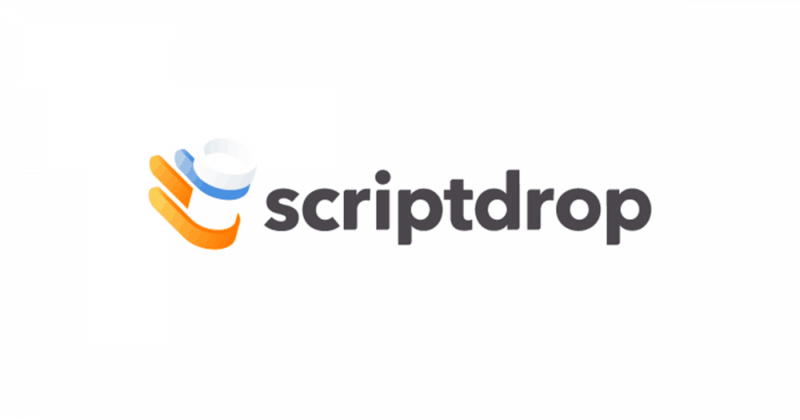 ScriptDrop focuses on providing an in-workflow prescription delivery solution for pharmacies. no apps to download. no cost to the patient. they partner with pharmacies to offer a streamlined delivery solution and increase operational efficiency. their service is built into the pharmacy workflow, which allows for more focus on patient care and less time spent on administrative tasks. ScriptDrop is based in columbus, ohio. nick potts is the co-founder and ceo of ScriptDrop, a prescription delivery and medication reminder service. prior to ScriptDrop, nick was a technical account manager at CoverMyMeds where he assisted pharmacy systems in integrating the CoverMyMeds technology via api and helped drive new pharmaceutical business.